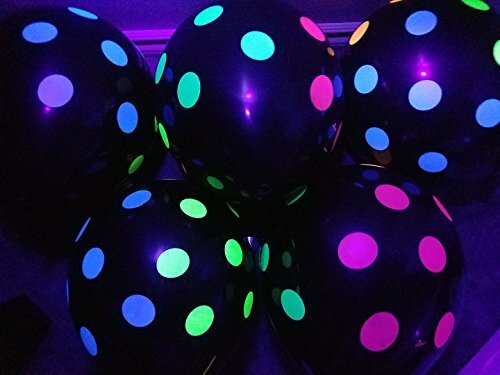 Blacklight Balloons with Neon Polka Dots that Glow in the Dark under Black Light. 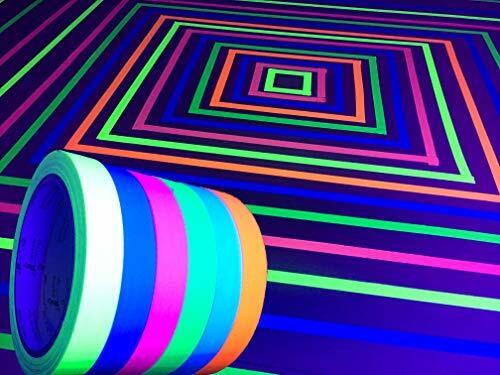 A fun decoration for every blacklight party. Black Latex Balloons with Blue, Green, Orange, Yellow, and Pink Neon Flourescent Polka Dots. The black latex will not be visible under blacklight, so the Neon Polka Dots will appear to be floating by themselves at your party. 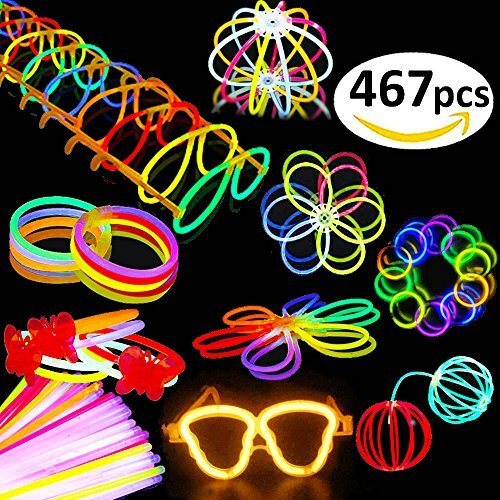 UV Blacklight Reactive Party Balloons only Glow in the Dark under Black Light conditions. 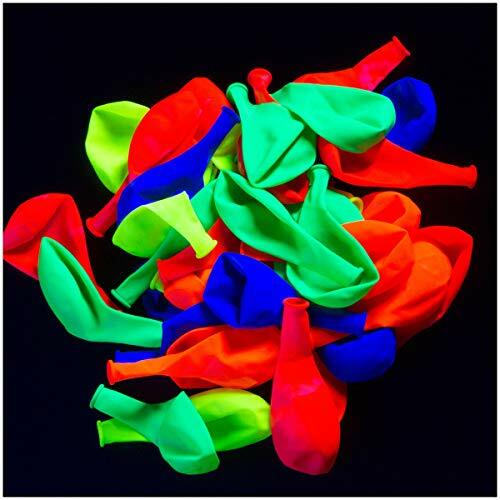 Pack of 25 balloons, 100% latex. Can be filled with Helium, 11 inch diameter when fully inflated. 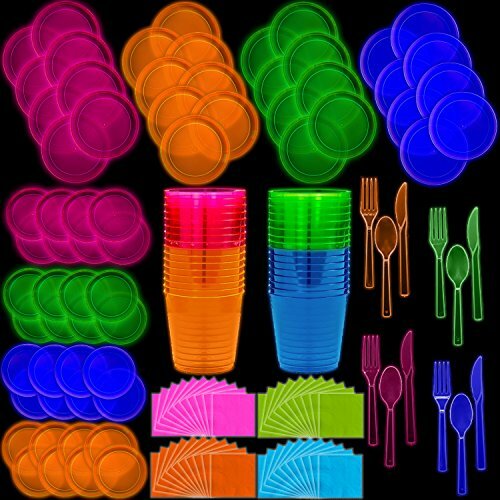 Add fun to your next party or event with these neon black light party plates, cups and cutlery! These blacklight plastic party plates and cups glow neon under black light for even more fun. 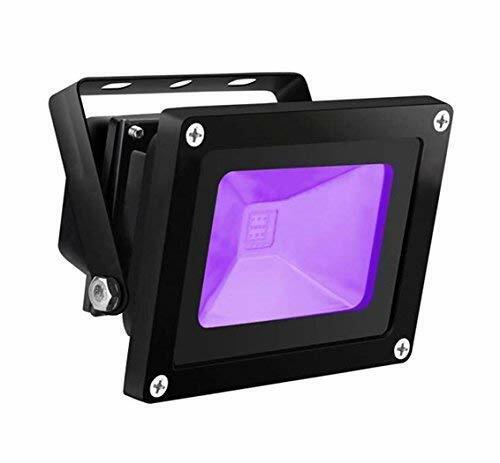 Our quality hard plastic plates are durable and don't break easily, unlike ordinary plastic plates, and are even reusable! 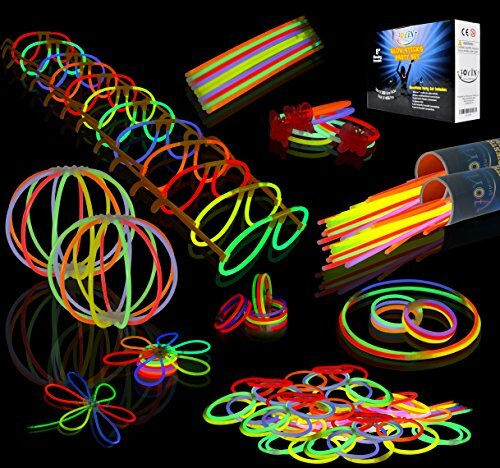 Mix and match with Tiger Chefs other neon party supplies to create the perfect party table setting. 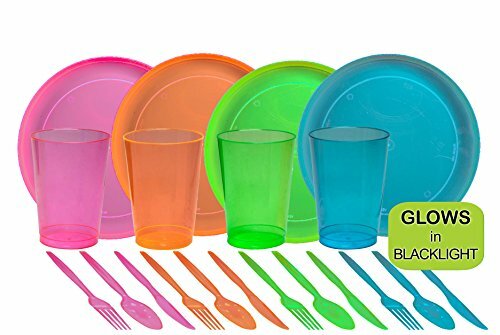 Make sure to complete your full table setting with even more neon party supplies from Tiger Chef available on Amazon!